Congratulations to the Raymore Rockets...The Rockets defeated the Delisle Bruins 5-2 on Friday evening in Delisle and won the Provincial 'C' Final 2 games to 1. 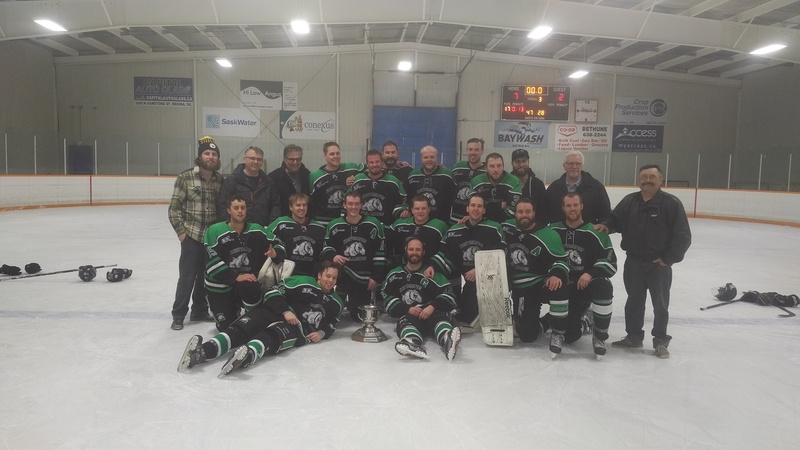 Bulldogs win Game one of Provincial ‘A’ Final…The Bethune Bulldogs defeated the Wilkie Outlaws 8-2 on Saturday evening in Bethune to take a 1-0 lead in the best of three Provincial ‘A’ Final. There was quite a lot of action in the first two minutes as Russ Nielson scored for the Bulldogs just 23 seconds into the game. Within a minute of that goal the Bulldogs were down two and Rory Gregoire scored a power play goal to even the game. 13:24 into the first period Drew George scored on the power play. The period ended with Bethune up 2-1 and leading in shots 14-7. 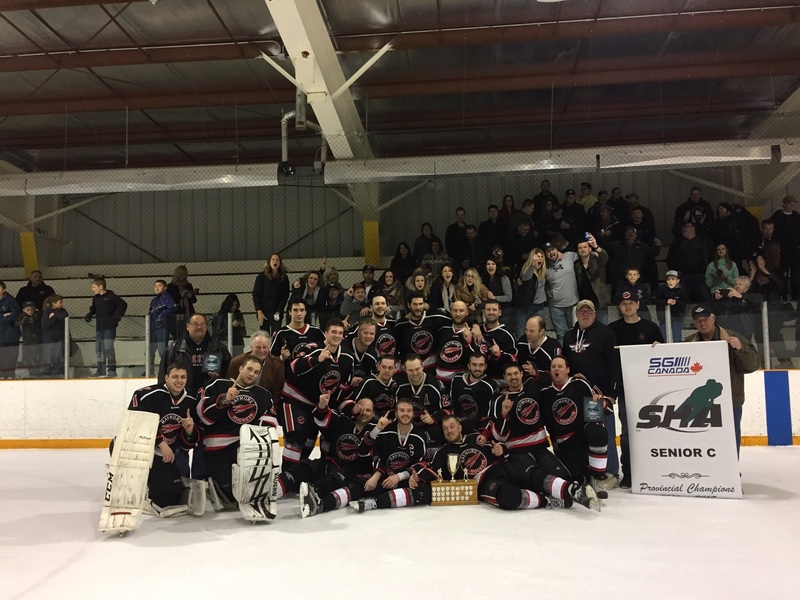 The Bethune Bulldogs defeated the Lumsden Monarchs 7-2 on Thursday evening and claimed the Robert Schultz Cup for the third year in a row. The Bulldogs won all 17 of their regular season games and won all 6 of their playoff games. Andrew Perrault opened the scoring in the game on a power play to give the Monarchs a 1-0 lead. Derek Fuchs would score on the power play and late in the period Joel Kot would put the Bulldogs in the lead going into the second period. The game stayed 2-1 until almost eleven minutes into the second period when Drew George would score. Rockets and Bulldogs on to Provincial Finals...The Raymore Rockets defeated the Whitewood Orioles 5-3 on Sunday evening in Raymore to advance to the 2017 Provincial ‘C’ championship against the Delisle Bruins of the Sask Valley Hockey League. On Saturday evening in Lumsden the Bethune Bulldogs defeated the Lumsden Monarchs 6-2 to advance to the Provincial ‘A’ Championship. The Bulldogs will defend their 2016 title against the Wilkie Outlaws of the Sask West Hockey League. 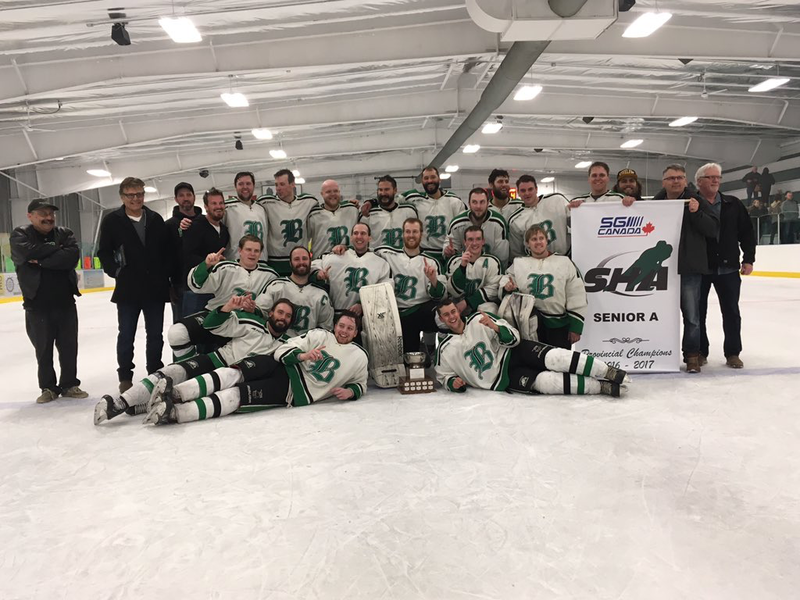 Bethune and Lumsden move on in Provincials…Congratulations to the Bethune Bulldogs defeating the Milestone Flyers 6-3 on Saturday evening in Bethune and moving on to the southern final of Provincial ‘A’ winning their series 2-0. Kyle Ross scored twice including a power play goal. Also scoring for the Bulldogs were Justin Bernhardt, Lucas Ulmer, Russ Nielson and Matt Strueby. Bethune outshot Milestone 44-28. In Lumsden on Friday evening the Monarchs defeated the Balgonie Bisons 5-2 and won this series 2-0. Maroons and Rockets move on to semi-finals…The Strasbourg Maroons defeated the Avonlea Arrows 7-2 last Wednesday evening in Avonlea and moved on to the semi-finals to face the Lumsden Monarchs. Mark Cross led the way for the Maroons with three goals and two assists. Dylan Marcott, Tyson Orban, Donovan Thompson and Tanner Exner with a power play goal also scored for Strasbourg. Brendon Lewis and Cole Boychuk scored for the Arrows. Tyler Kifferling picked up the win in net for the Maroons and Jesse Gooding was in net for the Arrows.